Developed for road cycling from the Mountain Shirt, with more shoulder room and longer sleeves to allow for forward reach. Shaped to fasten between the legs with a quick release crotch strap it gives complete protection against the elements. 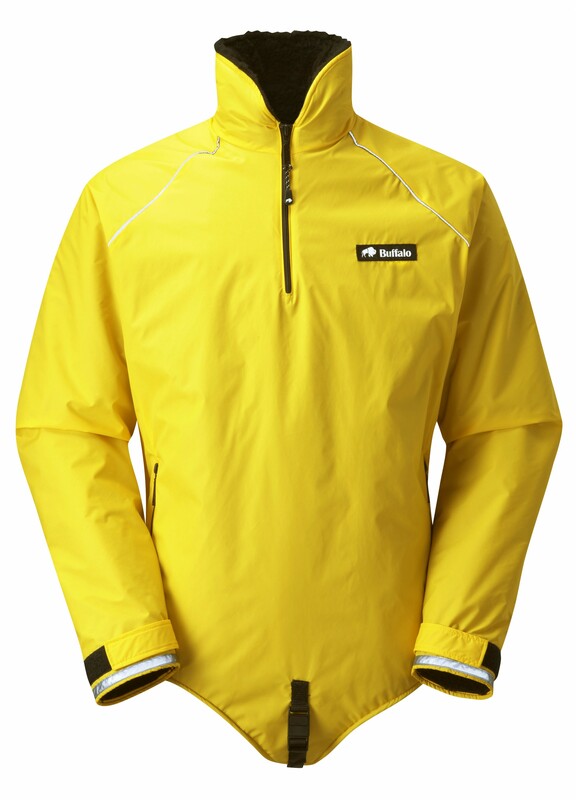 The design and high visibibility make it ideal for commuting, touring, and winter training. 3M Reflective tape across back pocket flap and around cuffs. Reflective piping sewn into shoulder seams. Storm baffles on side zips with internal baffle at neck. Three way elasticated back pocket with zipped central compartment. Rucsac hip belt can be fastened through hand warmer pocket. Tape and buckle waist adjuster. Eight ventilation controls on each shirt including two way side zips. Being a great fan of the DP system, as soon as I got a bicycle, I had to get one of these shirts. Although it looks unconventional, the shirt is very comfortable to wear. Having it fasten between the legs makes single handed operation of the side vents much easier, without needing to stop. A word of caution though; if the shirt is too big the side zips are hard to operate with just one hand, but this is not a problem if the shirt is a snug fit. Initially, I thought the internal waist strap might be placed a little too high, but it actually helps to keep the lower part of the shirt from riding up – important for comfort. Perfect for when I go riding with my young son and I’m not as active as normal, or in freezing temperatures. I have been using the cycle shirt for 3 winters and have finally got around to writing a review. This is a excellent bit of kit. I use it on my commute to work 2 hours cycling in any weather. I find it best worn next to skin, it keeps me warm and dry in snow wind or heavy rain. You do need to keep moving for the system to keep you dry as the jacket need your body warm to work. It has some great features. Reflective strip. Large pockets on the rear.excellent fit. The side ventilation allows you to regulate your body temperature. This is a serious winter jacket and for me the temperature has to be below 5 before I start wearing it. Maybe 7 if it’s raining. And when it’s raining and damp the jacket really comes into its own. The only small improvement I would make is a longer front zip as this is the easiest way to regulate your temperature when on the move. It’s my favourite bit of cycling kit. I have one of these still in perfect condition after approx 18 years of use, i agree with the reviews above in the best way to use it. 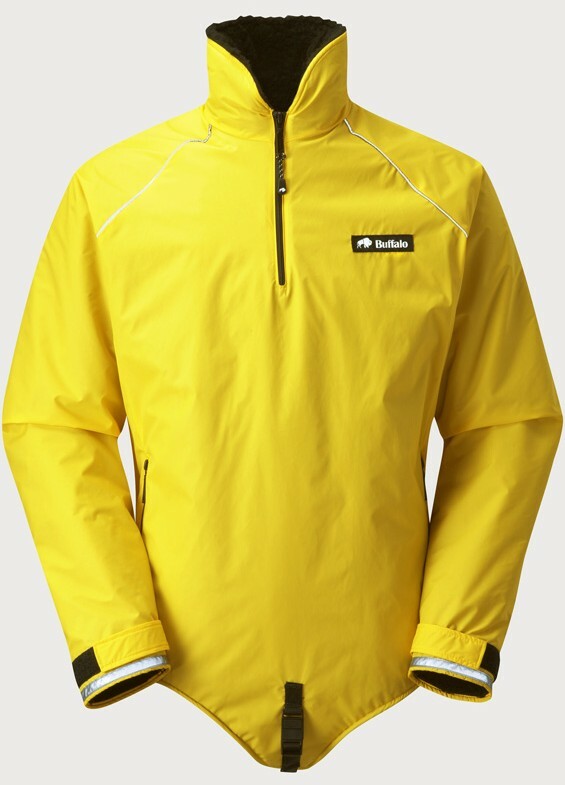 The best bit of cycling gear I have ever used, I used to use it in all conditions from freezing snowy conditions to pouring winter rain and it never let me down, always warm and dry. Best winter cycling jacket I have ever owned. Since i bought one 2 years ago, it has immesuarble improved my daily cycle commute in the winter. Has survived snow, sleet, rain and cars. Good bright fabric so easily seen by other road users. Always arrive at work warm and dry.